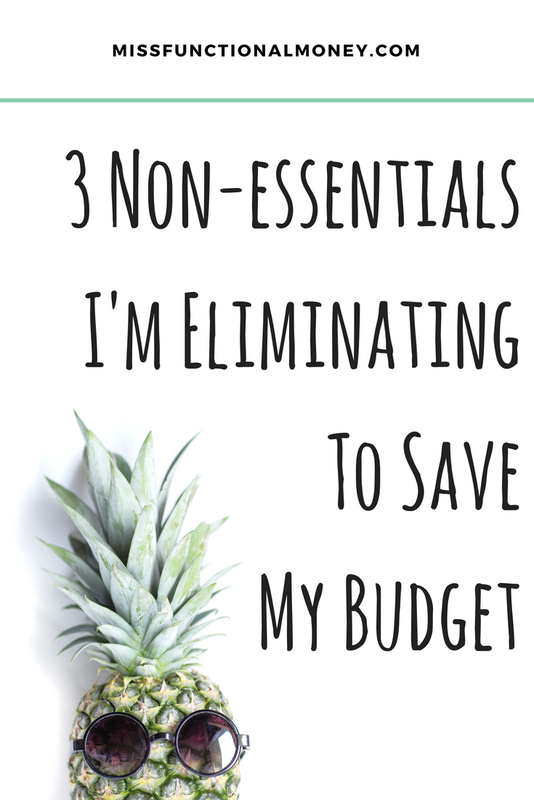 As I’ve mentioned, I think I am going to give the “no-spend challenge” a try here on MFM. As part of that challenge, I’ve been forced to reassess my spending — what’s essential, what’s not, and what’s not but isn’t worth being sacrificed. Personal finance is so incredibly nuanced and varied based on an individual’s job, marital status, family status, shopping tendencies, health, blahbedeeblahbedee. You get it. We are all different. I think that it’s easy for readers to become keyboard warriors — especially with a topic as sensitive and intensely personal as money. Of course, with so many bloggers willingly sharing their income reports, it can seem like they/we are asking for critique. But every time I feel a judgy comment about to boil out of my chest and onto my MacBook, I try to consider something critical to the equation: context. If it’s a helpful comment said with tact, great! I know that’s why MFM exists — to foster conversations about financial literacy and learn together. But internet trolls live to bring random people down. Haterz gonna hate. Luckily I don’t have this problem yet, because I have, like, zero readers (except for you, Dad. Sup.) So there’s that silver lining! With all of this in mind, I will try and include a little context for some of my seemingly non-essential purchases and offer up some alternatives that might work for you, too. I am not a chronic corner store coffee sufferer. I also don’t fall prey to the daily date with eating lunch out. However, every now and then, I get roped into a new hire lunch, colleague’s happy hour invite, or friend’s birthday brew tour excursion. For this one, I just try to use my best discretion. Often, it’s an investment in my workplace culture to go to lunch with the team. Other times, I just really want to be on a rooftop sipping rosé. And that’s OK, in my opinion. Depending on my goals of the month or quarter, I’ll set loose boundaries like, “only one lunch out per month” or “one drink during happy hour per week.” I think this is perfectly reasonable, to be honest. But if I *really* wanted to commit to not spending for a month, this is one that would have to go, probably. If you’re in the same boat as me, remember this: Balance is important to your sanity. If you decide to indulge, commit — there’s nothing less satisfactory than a delicious drink you can’t enjoy because you’re drowning in self-loathing and disappointment in your lack of discipline. Treat yourself in moderation. The rose will taste ten times better. Don’t go to lunch with coworkers. Blame a pre-packed lunch, a pre-planned workout, a busy meeting schedule, etc. Save restaurant gift cards for special occasions. I have struggled with keeping my skin clear since puberty, and randomly went through a pretty rough bout with acne last year. The physical and psychological effects of acne are very real, and they are also incredibly humbling. Depression can be a result of acne, which seems extreme or vain or surface-level — but it really does take a toll on your confidence. You get to a point where you will pay anything to have clear skin. And I did. From prescriptions to topical creams to skincare routines that cost hundreds of dollars, I’ve pretty much tried everything but Accutane. Eventually, my dermatologist helped me find a surprisingly cheap and simple skincare routine solution. It may not be my forever fix, but I’ll take it while I can. Ultimately, I will spend what I feel is necessary to maintain healthy skin in the long run. Facewash is essential. High-quality moisturizer is essential. That fruity facemask I impulse-bought at CVS is not essential. A $300 anti-aging skincare routine package every 3 months is probably not essential — at least, it’s worth exploring other options. Daily make-up that doesn’t make your skin freak out is essential. The entire Bobbi Brown bronzer collection, not essential. In my eyes, designer make-up can be a fun treat that makes you feel like a million bucks. Oh, that red lipstick boosts your confidence by 110%? Do it. But it’s a treat. View it as such. And if I’m cracking down on spending this month, anything in this category beyond what I absolutely need daily is not going to make the cut. Decide which products are most important, and then invest in the best. For me, that’s moisturizer and foundation. Steal your sister’s a little bit at a time by washing your face/getting ready at her house. She’ll never know. Unless you post publicly about it on your blog. The trying on in the dressing rooms, the terrible lighting, the waiting in line to make your purchase — all of it. And unlike most millenials, I (blessedly) also hate online shopping. I feel like nothing I buy ever fits if I can’t try it on, and I usually end up returning and paying even more for shipping. What I do love is a good bargain. I have a lot of my grandmother in me. She maintians super high style and quality standards, and yet the woman has never paid full price for anything. We both enjoy the rush of finding a designer-name dress at 60% off, or that feeling of saving 75% on a jacket you really needed anyway. You feel like you’re getting away with something! Shoes aren’t my vice. I don’t go nuts over designer handbags. I could not care less about having the latest earring trend. However, I’ll be the first to admit I love a feminine and functional dress. They are my weakness. A beautiful dress instantly makes me feel pulled together, even if my nails are scrappy or my hair is a hot mess. Especially if I get it at a great price. In my own biased opinion, I do a pretty great job of not spending money on clothes (because I hate shopping). And when I do, it’s usually a pretty great deal on something I KNOW for sure I will wear. Especially with the 198 weddings I attend each year, it’s easy to justify a dress purchase. But if I’m being brutal about not spending money this month — farewell for now, pretty dresses. Re-wear a dress to one wedding that you wore to another. Yes, the pictures will be on Facebook. No, nobody cares. Change the accessories/your hairstyle/your shoes/add a shawl or wrap. That’s the beauty of buying a solid little black dress or trans-seasonal shift. It’s like 94 outfits in one. So what’s the verdict, friends? Am I justifying spending that I should really just cut out? What would you cut out of your budget if you had to? Is this too many questions? Are we getting off topic? Would Jack totally have fit on Rose’s door?